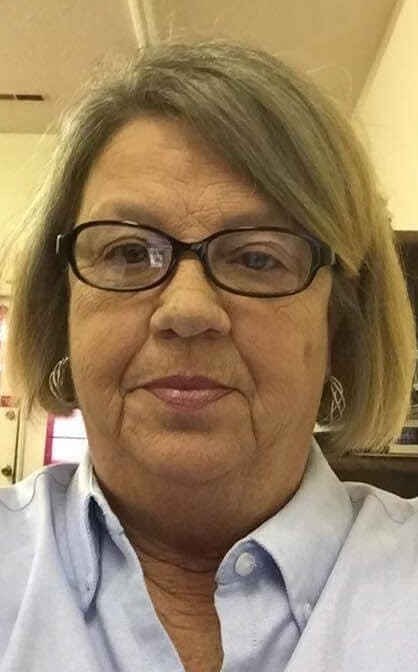 Debra “Debbie” McDuffie Phillips, age 62, of Sanford, NC died Saturday, August 25, 2018 at Central Carolina Hospital. She was born in Lee County, NC on November 19, 1955 to the late Curell Lee McDuffie and Nancy Dycus McDuffie. In addition to her parents she was preceded in death by her son Barney Ross O’Quinn. Debbie worked 20 years at Hardees; all the way from line-cook to restaurant manager. Later, Debbie began working at C&D Accounting Firm. She was manager of the accounting firm until her health declined. Her favorite pastimes were gardening and spending time with her grandchildren. She loved NASCAR, especially Dale Earnhardt until his untimely death where she said NASCAR would never be the same and never watched another race. Debbie enjoyed hosting family and friends during a week in May at Holden Beach every year where they would front porch sit, walk on the beach and thrift store shop. She is survived by her husband Ernest Phillips; daughter Jannie O’Quinn Williamson and husband Scott of Carthage; step-daughter Jennifer Phillips Simpson and husband Curtis; brother Steve McDuffie; sisters Faye Simpson and husband Kenneth, Peggy McDuffie Colvin; grandchildren Kayla and Dakota O’Quinn, Zack, Hunter, Trevor and Carly Williamson, two step-grandchildren Austin and Allie Simpson and one great-grandson Layne Williamson. The family will receive friends at Bridges-Cameron Funeral Home on Tuesday, August 28, 2018 from 6:00 PM to 8:00 PM and at other times at the family home on Dycus Road. Funeral service will be Wednesday, August 29th at 2:00 PM at Hillview Christian Assembly with Pastor Ray Bodin officiating. Burial will follow at Center United Methodist Church cemetery. Debbie requested that everyone that comes to her funeral wear their favorite beach shirt and flip-flops.